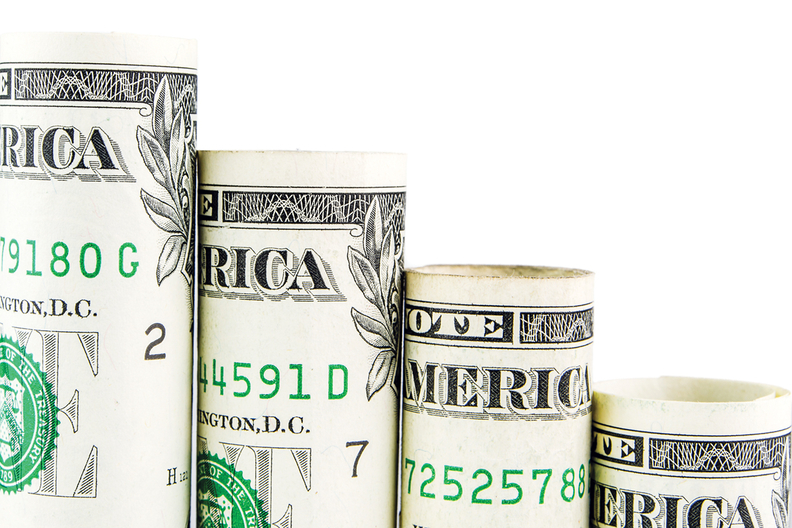 Regulators may have another layer to consider when evaluating provider tie-ups—wage stagnation. Much research and analysis has been dedicated to the price implications of consolidation among healthcare providers, economists’ conclusion being that prices typically rise when they combine. But now evidence is mounting that in less-competitive markets, employees’ wages may also be impacted. A new working paper indicates that wage growth slows in markets with fewer competitors. “Employers in these markets have more power over workers because they have fewer to turn to in terms of competitors,” said co-author Elena Prager, assistant professor of strategy at Northwestern University’s Kellogg School of Management. Prager and co-author Matt Schmitt, an assistant professor of strategy at UCLA’s Anderson School of Management, compared wage growth in markets with mergers to those without, finding that wage growth fell more when the merger was large (top quartile) and when the employee had industry-specific skills. Annual wage growth was 1.1 percentage point slower for skilled nonhealth professionals in concentrated markets (social workers, claims adjusters, insurance personnel, HR professionals) and 1.7 percentage points slower for nursing and pharmacy workers, their analysis of 84 hospital mergers from 2000 to 2010 revealed. If that indeed is the case, experts say it should come into play when federal and state regulators are considering whether to allow health systems to merge. Regulators rarely consider the impacts on wages from increased labor market power as a factor in antitrust reviews, and the courts have yet to rule against a merger because of its anti-competitive labor effects, said Michael Buchanio, a principal in West Monroe Partners’ healthcare practice. “However, recent research suggests labor market concentration can and should be used to argue against a horizontal merger,” he said. Wage growth slowdowns were less severe in markets with strong labor unions and wages weren’t affected after out-of-market mergers that didn’t change employer concentration, researchers noted. The study didn’t analyze pay for middle managers or executives and didn’t find any impact on “unskilled” workers. Prager hopes that this data will inform the national debate on how to best frame merger reviews. Economists and policy experts have sparred for years with health system executives and hospital associations about the drivers behind consolidation and its consequences. Providers look to gain negotiating leverage with commercial insurers that can lead to higher prices, economists argue, while executives contend that efficiencies gained through economies of scale will lower costs, and ultimately prices. Not only can mergers depress wages, but they can distort hiring decisions, and in the long run, harm incentives for investment in human capital, said Martin Gaynor, professor of economics and health policy at Carnegie Mellon University. “If we looked at hospital mergers and are worried about harming consumers, it’s reasonably likely that covers possible harms to workers,” he said. Some Advocate Health Care employees have criticized the Illinois-Wisconsin based system for clamping down on benefits as the health system integrates with Aurora Health Care under Advocate Aurora Health. When an Advocate clinician posted on the job review site Glassdoor that Advocate will not be issuing bonuses in 2019 to accommodate integration costs, someone from the health system responded saying that the “Associate Award bonus would not carry over from Advocate Health Care to Advocate Aurora Health (Aurora Health Care did not have such a bonus).” Annual compensation increases have not been frozen for 2019, the organization said. The company noted that it is raising the minimum wage to $15 by 2021, a strategy many hospitals and systems are employing to recruit and retain more employees as they get ahead of state-mandated minimum wage hikes. The associate award is a “discretionary program provided to recognize achievement of organizational outcomes,” according to an internal email obtained by Modern Healthcare. Employees will still get “merit” raises, but not the milestone service awards where they would earn “points” that could be used for certain gifts, an employee told Modern Healthcare. “This decision has nothing to do with our team members’ individual performance,” the email reads. A new benefits program will go into effect in 2020, it continues. Advocate Aurora said in a statement that it is committed to providing rewarding jobs with competitive wages, education assistance, a retirement savings program, discounted medical and drug coverage, and career development initiatives. Depressed wages may be a symptom of the market economy and isn’t necessarily tied to consolidation, said Christopher Browning, a partner at law firm Nixon Peabody. Sometimes there will be employment guarantees built into a transaction. Certainly, the opposite is also true where workers get phased out of a company if they don’t align with the broader strategy. It all depends on the market, the strategic focus and the operating structure, among other factors, he said. “Generally, large institutional healthcare providers are facing really low margins and that is putting pressure on costs—wages being a big part of them,” Browning said. Still, having high-quality healthcare providers is a priority of most organizations, and pay and other perks often increase over time to remain competitive, he added. While wage growth slowed from 2000 to 2010 in highly concentrated markets, they never deflated, according to the working paper. A related report from the left-leaning Center for Economic and Policy Research found that wages for ambulatory facility workers have fallen 5.7% from 2005 to 2015 as wages stagnated for hospital workers, researchers found. Full-time healthcare workers—a group that spans professionals like nurses and physicians, social service workers, medical technicians, health aides and assistants, food service workers and cleaning service workers—saw their real median earnings fall on average by 2.4% over 10 years. Median real hourly pay in hospitals rose a meager 3.2% (75 cents) over 10 years. The median real wage of white men increased slightly over the decade, by about $1 per hour or 10 cents a year on average, as other demographics saw their wages stagnate or fall, researchers noted. Workers are bearing the cost of providers’ organizational restructuring as they shift care to lower-cost ambulatory settings, they said. “The cost reductions have gone to improve financial outcomes for healthcare systems and insurers, but they have not been used to invest in the skills of front-line healthcare workers or to improve workers’ wages,” according to the report. The increased concentration that often results from mergers and acquisitions creates opportunities for anticompetitive behavior that can raise prices to patients and hold down wages of workers, researchers said. This theory is supported by related analyses including research from the University of Pennsylvania, which found that a 10% increase in concentration is associated with a 0.3% to 1.3% decline in wages. Consolidation typically more acutely impacts rural areas because there are fewer employers. If providers become overleveraged and cannot bear the expense of their acquisitions, that can lead to stagnant or declining wages, CEPR researchers said. The findings were surprising because educational levels rose for nearly every occupational group and are higher in outpatient centers than in hospitals, said Eileen Appelbaum, co-author of the report and senior economist at CEPR. “Declining real wages in outpatient services cannot be explained by factors that often influence wage determination: educational level, age or the share of workers who are part-time or foreign-born,” she said. Tracking wage growth across the healthcare industry will play an increasingly important role as mergers and acquisitions continue at a fast clip—setting a record at 1,882 deals in 2018, according to PricewaterhouseCoopers—and the sector adds more jobs. Monitoring outpatient workers' wages will also be important as more care shifts to that sector. Healthcare spending was nearly $3.5 trillion in 2017 and accounted for almost 18% of GDP. Healthcare is projected to be the largest employment sector, adding an estimated 4 million new jobs through 2026, about one-third of all new jobs, according to the Bureau of Labor and Statistics. Healthcare employment is growing more than twice as fast as all other areas, with most of the growth directed toward the ambulatory settings, specifically related to the relatively lower-reimbursed sectors of home health and elder care. Labor costs often account for about half of a provider’s expenses. It’s one of the first areas executives look to cut back when margins wane. Any type of leverage to hold back salary and benefit costs could significantly boost a hospital’s bottom line. Hospitals may feel more margin pressure with a proposal from the Labor Department that would boost the number of employees eligible for overtime. Under the current law established in 2004, employees who make less than $23,660 must be paid overtime if they work more than 40 hours a week. The proposal, which will likely be challenged, would boost that threshold to $35,308 per year. Notably, more money seems to be flowing to administrators than physicians as health systems consolidate. Health system administrators took home raises of 6% to 8% over three of the past four years, up from around 2% in 2014, according to Modern Healthcare’s analysis of executive compensation data. Physician wage growth was relatively flat last year, with less than a 1% decrease in physician compensation between 2017 and 2018, according to a recent report from Doximity. “Other economic research indicates that gains from large transactions don’t trickle down throughout the company,” Prager said.